I promise that a big long post about this past weekend's Avila Beach Mac and Cheese Festival is in the works and will be posted soon, but since I'm still in a pasta coma, here's something to hold you over until that lands. 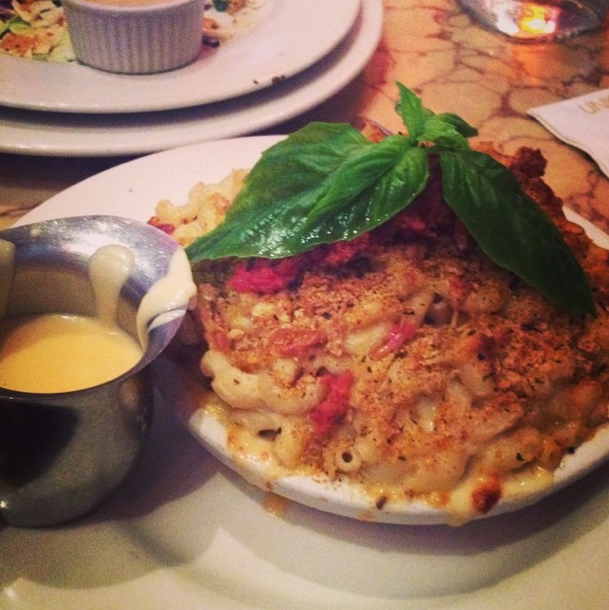 Today's MOTD is the Ultimate Macaroni & Cheese from Icon Grill in Seattle, WA. I enjoyed this mac last fall on my trip and really enjoyed pouring the molten cheese over the pasta dish already boasted four other cheese flavors. They also had a Hog Wild Mac N' Chz that my travel partner enjoyed. I think the Ultimate was our favorite, though.